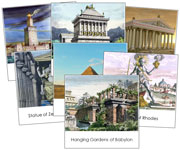 7 Wonders of the Ancient World. Sort objects from the past and present. Architecture from around the World.